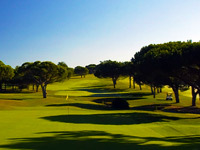 Pinhal Golf Course was the second golf course built in Vilamoura. Several refinements were incorporated over the years. 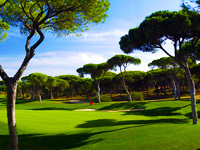 It is typified by rolling parkland terrain covered with numerous umbrella and Atlantic pines that line many of the fairways and a few even stand out on fairways or near greens. 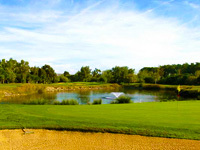 Ponds and a stream come into play on five holes but are not serious threats to above-average golfers. To keep up with modern technical advances in clubs and balls, several holes have recently been lengthened. The clubhouse was completely renovated and modernised at the turn of the millennium and from the large verandah one can enjoy a panoramic view over the excellent driving range and practice facilities.